England: How much are PL naming rights worth? Earlier today valuation and corporate finance advisor Duff & Phelps released the latest estimates for Premier League naming rights value. Overall the market has spiked by 80% in just the last 5 years, from £74.6 million in 2013 to £135.6 million in 2017. While immensely impressive, this pool isn't evenly spread, quite the opposite. Overall clubs from just three cities (London, Manchester and Liverpool) could count on 84% of the total naming rights budget for the league. Just the six top clubs have naming rights worth 78% of Premier League's naming rights potential. 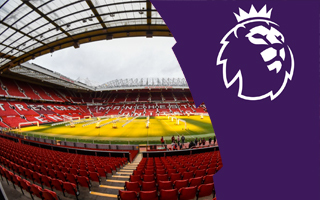 £300,000 is the lowest price (Huddersfield), £26.2 million is the highest and, incidentally, one that will not be sold to a sponsor any time soon: Old Trafford. It's worth noting that the mentioned values differ from expectations of specific clubs or stadium managers. As an example Tottenham have previously indicated that £400 million over 20 years is their goal, which would make it £20 million per annum (some suggestions have even put it at 25 million), above the £15.5 million estimate from the latest valuation. Similarily, the estimate for Chelsea is a very blurry one, as a lot will surely change before they move to the new and potentially sponsor-branded Stamford Bridge.